The project has a strong emphasis on education and awareness, as well as a supporting role in the provision of medical treatment. Volunteers with different levels of experience can be of assistance, either in the outreach work in the community or at under resourced medical clinics. Provide training to local volunteers, as part of a sustainable community home based care programme. Assist and gain valuable experience in the provision of primary medical treatment and care. Create awareness and help to reduce the incidence of epidemic diseases in Malawi, such as HIV/AIDS and malaria. Provide care and basic education to disadvantaged children. Be welcomed as part of a community and help them to become more self-sufficient. The governmental health care system in Malawi is organised into three levels. Local health care centres deal with the most common and easily treated problems and offer maternity services. More serious cases that cannot be dealt with at this level are referred to district community hospitals, which provide secondary health care, including some basic types of surgery. Tertiary care is then offered at one of the 3 central hospitals, situated in the North, Central and Southern regions. 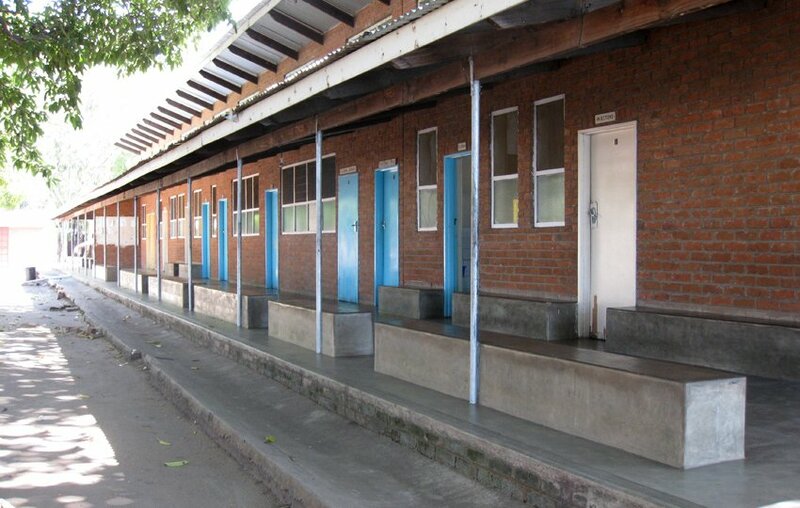 However, access to these health services and facilities is poor. The majority of Malawi’s population lives in rural areas and cannot afford or is unable to reach these centres easily. Over half the population lives below the poverty line, and Malawi faces constant food uncertainty, high levels of malnutrition and high birth and dependency rates. Malawi is amongst the 10 countries most affected by the HIV/AIDS pandemic and has a high prevalence of malaria. The Malawi Medical Volunteer Project aims to address some of these issues at a local level through education, awareness and improved access to primary health care. Plan and present lessons to groups of local volunteers on home based care topics, including HIV/AIDS, malaria prevention, personal hygiene, drug administration, recording information, first aid, wound care, bed bathing, infection prevention, sexual health awareness, nutrition and digestion, TB and rehabilitation. Carry out home visits to chronically ill patients, which forms a valuable part of the training for the local volunteers to become home based care providers. The wound care takes place on set mornings in different villages and forms part of the Home Based Care education. Volunteers are involved in cleaning wounds, basic dressing and bandaging and making referrals to hospital for more serious wounds, or if further treatment or antibiotics are required. This programme aims to increase the awareness and understanding of HIV/AIDS, in order to reduce the stigma associated with the disease and educate local communities about prevention and treatment. Provide support and counselling through community groups for those living with HIV/AIDS. This may also include nutritional advice and information about other related diseases. Encourage and assist with drama workshops and presentations by those living with HIV/AIDS to the communities in surrounding villages. This project work is best suited to volunteers with previous medical experience, as the centre provides primary medical care and treatment. There is some work available for less qualified volunteers, but this tends to involve shadowing local nurses or doctors and more administrative duties. The centre has a number of departments in which volunteers with relevant experience may assist, including outpatients, female ward, male ward, maternity ward, nutrition unit, laboratory and basic dental treatment. Typically qualified volunteers will assist the local nurses and doctors in their everyday duties. This may include midwifery, ward rounds, cleaning and dressing wounds, minor medical procedures and any other role that may be requested. There is also some lab technician experience available, carrying out vital tests, such as haemoglobin, malaria, syphilis, and pregnancy. 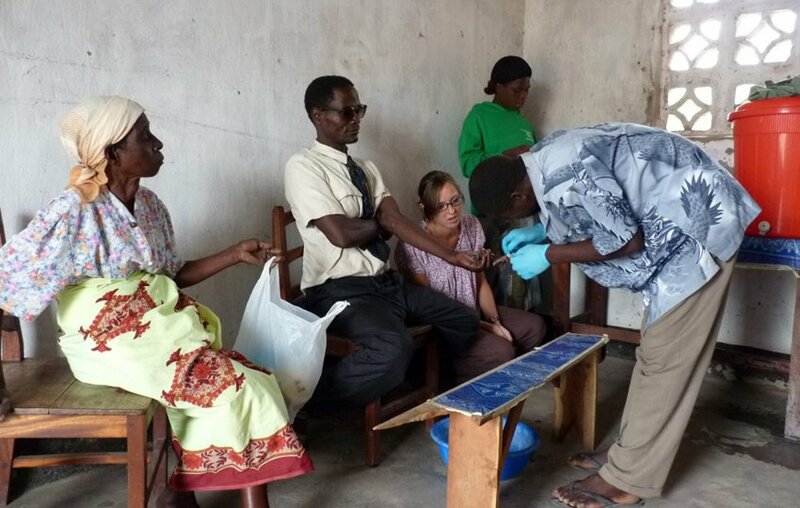 Some volunteers, such as those studying medicine, may also have the opportunity to observe clinicians in consultations, which will provide an insight into tropical and infectious diseases and their treatment. You will generally spend from about 8am until midday at the centre. Assist with malaria prevention techniques, education and awareness to help minimise the incidence rate. 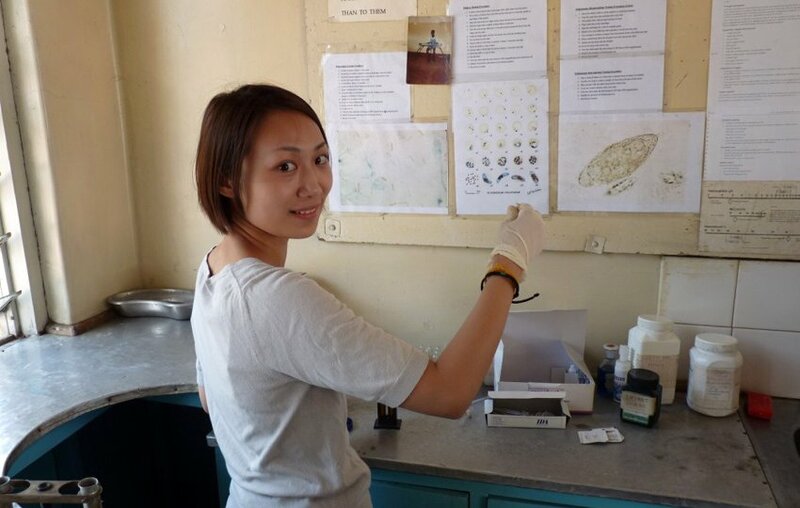 Conduct valuable malaria project data collection and collation at various stages of the project. Distribute mosquito nets and spray homes. The high material costs of this initiative means that the level of involvement in this project area is dependent on available funding. If you would like to raise funds or make a donation to this specific programme, please let us know. In the mornings, volunteers, especially those with limited or no medical experience, assist at one of the nurseries. Get involved with pre-school teaching to prepare the children for their education ahead. Promote the importance of health and nutrition. Help the local carers improve their English and teaching skills. Your daily routine may vary, depending on what areas you are involved with, the season and the needs of the project whilst you are in Malawi. However, you will usually leave the house at 07.30 for your morning activity and return late morning. You will then have a welcome lunch break during the hottest part of the day. Afternoon sessions generally start at 14.00-14.30 until about 17.00 and take place Monday to Thursday. Friday afternoon is free time, as you may be departing on an organised weekend excursion. The project co-ordinators will try to involve you in the activities that are of greatest interest to you where possible. However, please be flexible, as we rely on volunteers to maintain the continuity of certain programmes and activities and if there are relatively few medical volunteers when you are in Malawi these activities will take priority. I enjoyed the variety of the work and am very grateful for the opportunity to have worked in the areas I worked in. I most enjoyed meeting new people, experiencing a different culture, participating in the wound clinics at Nkhudzie Bay and Matayo, going to Mangochi Hospital and the safari weekend. The food was excellent for me as a vegetarian; varied food provided even when I was working at Mangochi Hospital. Thank you very much for this amazing experience, I have gained a valuable insight into Malawian culture and their healthcare system. I genuinely believe I have succeeded in helping a number of local children and adults and I have got a lot of good memories to take home. Thanks again. Thank you all for a wonderful experience; I shall definitely be trying to return to Malawi! 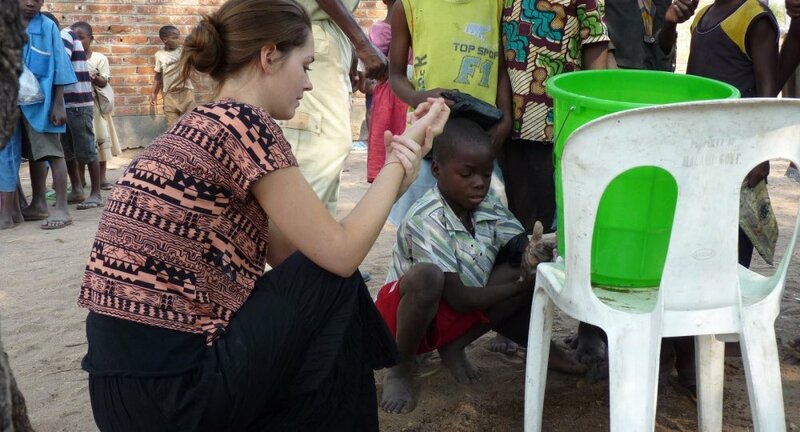 I enjoyed getting to know Malawian culture and working with the children. It is hands-down the most eye-opening experience I’ve had so far in my life. I feel incredibly fortunate to have had the opportunity to participate. The Lake Malawi Medical Volunteer Project has arrival and departure dates every other week on a Monday. You should book your flights to arrive into and depart from Lilongwe International Airport for the set dates after your placement has been confirmed. You will arrive on Monday evening and are likely to be fairly tired after travelling, so you will settle in to your room and meet the rest of the volunteers. In the afternoon you will have a quick tour of the local area and nearest town. You will have the opportunity to visit the local market there to buy cheaply priced local material for wrap-around skirts if you wish to. You will stay in a shared volunteer house in a village at the southern end of Lake Malawi. The house is located in a fantastic spot on the edge of Lake Malawi and within a rural community. Malawi is very safe, as is the area that you will be volunteering in, but the house is also fenced and gated to provide additional security and privacy. You can relax in the sunshine in the spacious garden in your free time or cool off in the lake. Most project activities are within walking or cycling distance of the house, but occasionally you may also be driven. Volunteers share large bedrooms at the house, either with ensuite or a shared bathroom. There are western style flush toilets and showers; the water is cold, but this is usually welcome after a day volunteering in the heat of Malawi. The house has electricity, but power cuts are fairly common and sometimes last for up to a few hours. The staff at the house includes a cook who will prepare your meals, a housekeeper to do most of the cleaning (although volunteers are expected to contribute to keeping the house tidy and clean up after themselves) and night watchmen. You will be provided with three meals a day. Breakfast is generally toast, pancakes or porridge and tea/coffee. Lunch is self-service, along the lines of pasta, soups, sandwiches, or similar, or a packed lunch can be provided if you are not planning to return to the house to eat. A hot dinner will be prepared for your evening meal. The cooks do a great job of catering for everyone and accommodating most special dietary requirements. However, please bear in mind that supplies and choice of ingredients can be limited, seasonally available or imported and very expensive in Malawi, so there is not always the widest variety of food on offer. You are fortunate to be staying in a beautifully positioned volunteer house, overlooking the sparkling waters of Lake Malawi, which you may swim in each day. At weekends you can choose to relax at the volunteer house, or if you would prefer to see some of Malawi’s attractions the project staff will help you with arrangements or organise excursions. Liwonde National Park with its diversity of wildlife and numerous elephant, where you can experience a vehicle safari, walking safari and boat safari looking out for the many hippo in the river. The popular tourist village of Cape Maclear situated at the edge of the lake. Enjoy snorkelling, boat trips on Lake Malawi, barter for crafts or relax and top up your tan on the beach during the day. In the evening there are a couple of lively bars to choose from. Relax in the cool forest canopy of the Zomba Plateau, taking in the spectacular views, trekking and horse riding if you wish. Weekend excursions are not included in the price of the project, but can be arranged and paid for while you are there. As long as there is a reasonable sized group on an excursion they usually cost about $150 per person. This typically includes transport, 2 nights’ dorm room accommodation, 3 meals a day and a staff member to accompany you as a guide. The group trips are a cost effective and convenient way to see a little more of Malawi during your stay and we recommend doing a couple while you are there. You should book your return flights to Lilongwe International Airport (please only do so after we have confirmed your place at the project). A project representative will meet you at the airport and you will be transferred by road to the volunteer house, which is about 3.5 hours from Lilongwe. You will also be dropped back in Lilongwe at the end of your volunteer programme. Please make sure you arrive before 2pm on your programme start date. If your arrival, or departure is outside the usual dates for the project, or after 2 pm we will need to arrange a private transfer for you at your own expense, which will cost about $175 per person. The project co-ordinators will be available to provide assistance and support 24/7 during your time at the medical volunteer project in Malawi. Should they be unable to resolve something satisfactorily for you then you can also contact our UK office by email, or telephone. In addition, you will be provided with an emergency contact number in the UK prior to your departure. This should only be used for genuine emergencies out of normal office hours. This project is suitable for qualified medical and health care professionals, medical students wishing to gain some experience in developing countries, and less experienced volunteers. Your level of experience and the needs of the project at the time will determine which areas of the project you will be involved with. It is very important to be flexible throughout your time at the project and be willing to help out where necessary. An open mind and a strong work ethic are good attributes to have, so that you may make the most of your time volunteering and be of greatest value to the project. Personal appearance is important to Malawians. Whilst on project activities or walking around in the village, female volunteers are expected to wear long skirts that are well below the knee and tops that cover your shoulders and cleavage. Males are expected to wear smart trousers and a shirt with a collar. Please remember to be respectful and considerate. Staff and members of the community that you are working with will have different cultural expectations and values to those that you believe to be right, or appropriate. Things may run to African time, which can seem relaxed to the extreme sometimes. However, try to remember that the co-ordinators have much greater experience at managing local project relationships than you. Feel free to ask for their advice if you are unsure about something and please listen to it.